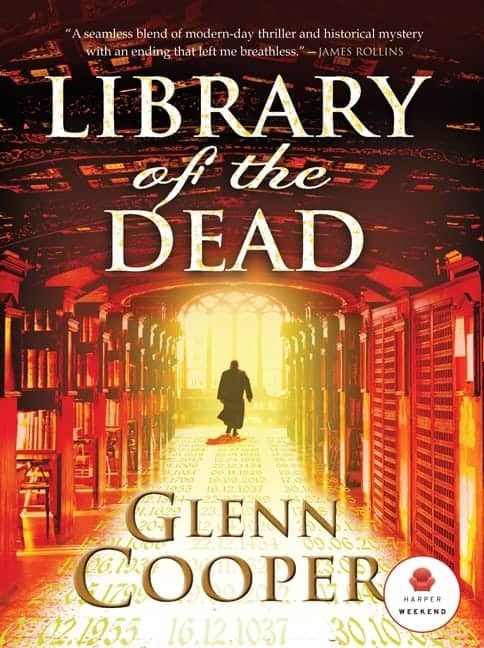 Library of the Dead was the first novel I read by Glenn Cooper. When I read an overview of the novel, it sounded intriguing – it described the novel as being a combination of historical fiction and suspense. It sounded fascinating so I was really interested in reading it! The story opens with a murder which leads to a string of murders, each beginning with a postcard sent to victims with the date of their deaths and the drawing of a coffin. Will Piper, an FBI agent who is battling his own demons and hoping to mark his days until his retirement, is assigned to the case which appears to be at a stalemate. None of the deaths seem connected and the lack of a pattern makes the “Doomsday Killer” almost a shadow. How will they catch this killer? Sprinkled between this storyline are some other moments in history that, at first, seem unconnected. Events that take place in the years after World War Two hint at a secret that the government needs to hide. The birth of a child who is the seventh son of a seventh son born on July 7, 777 marks another subplot that is carried throughout the novel. Though these elements seem unconnected to the Doomsday Killer, it eventually becomes apparent that these events are all interconnected. When I first began reading the novel, I didn’t realize that it would travel back and forth between time periods. Each time there was a shift in time, a new chapter begins and the date is marked on the top right hand side of that chapter. While I must admit it took me a little while to get used to these time shifts, and the shifting storylines that accompanied these changes in time, once I got into the novel I found it quite fascinating how the subplots were carried through the novel in this manner. This novel is really engaging though the first portion of the novel seems, at times, to be somewhat confusing. Once I got past the first part of the novel and became familiar with the characters and put together a few more pieces of the puzzle, it moved quickly and was incredibly enticing and intriguing. Even with the challenging opening of the novel, I found the writing to be engaging and I kept going back to the novel because I wanted to know what would happen next. I absolutely loved the book overall because I think that the plot is truly unique and incredibly intricate. 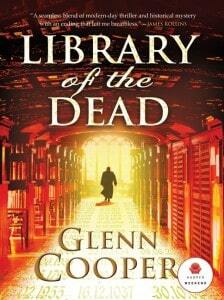 I would recommend this novel to anyone who enjoys suspense novels with numerous twists and turns. Cooper has written a sequel entitled Book of Souls that I plan to read in the near future because I think I’ve found a new favourite author! .-= Cristi´s last blog ..I Feel So Special!!! =-. I really need to carve out more reading time! Stopping by to thank you for linking up to Follow Me Back Tuesday…already a long time follower of yours! .-= J´s last blog ..Fantasy Jewelry Box Review & Giveaway =-. I’m a lot like you where I prefer straight reading, not flipping back and forth, but if a book compels you back to it, the content of the story is there and that is key! I finished a book much the same last night. It flipped, but the story kept me reading. .-= Freda´s last blog ..Teaser =-.